A new backend that works more reliably in modern distributions. Added support for Wayland sessions. Support for Postscript input files. Simplification of the program structure, reduced the number of executable files. Faster processing of large PDF files. 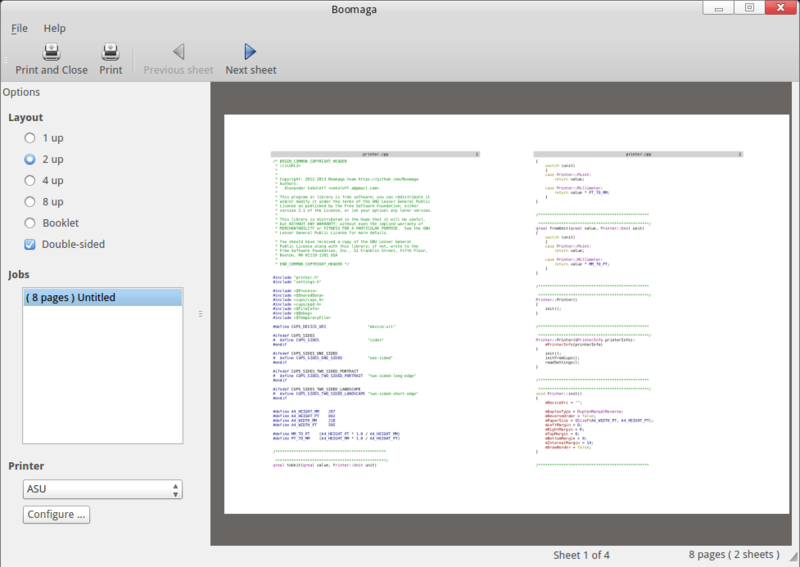 Boomaga is an open source project distributed under the GPLv2 license (some files are distributed under the LGPLv2+ license). It would be more convenient to install the program from the package for your distribution; you can access the list of the packages at this page. You can also build the program from the sources; you can download the sources of the latest stable version here. The version for developers is available on our page at github.